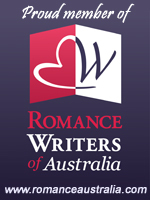 I am a West Australian author, who writes paranormal/fantasy romance. Qualified as an Archaeologist, it's no surprise my interests lie in the use of mythological creatures in modern romance. When I'm not writing, I'm usually trying to manage the chaos that is my household! I also enjoy 4x4ing, travel, music, art, the beach, good coffee - and almost everything else in between.